Baahubali 2’s release is round the corner and rebel star Prabhas is busy promoting the film all over. 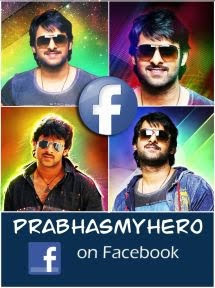 Here's the interview published on 123telugu.com on the interview they held with Prabhas today. Let’s see what he has to say. Now that Baahubali’s journey is coming to an end. How relaxed do you feel? I have not come out of Baahubali fever yet. Things are getting more heated up as the film is nearing its release. I will only be relaxed once the film is out and the audience appreciates our hard work. How will you define this five-year-old journey of Baahubali? It is very hard to describe it in words. I have gone through a lot and only followed Rajamouli’s blind dream. During the initial stages of the film, everything was quite experimenting as we never knew how the first part will turn out. Frankly, we were surprised to see the massive reaction of the audience all over. I remember V V Vinayak once saying that how did Baahubali 1 click in spite of having many unanswered questions. That is the time we understood that the audience didn’t bother about all these questions and just believed and encouraged our vision. Now, we are a bit confident and at the same time quite tensed as to how the film will be received now that it is carrying huge expectations. Did you ever imagine why Katappa killed Baahubali will be such huge? No. We never thought that it will become such a talking point. We only thought that it will just like a good bang to end the film but the way it has spread all over is huge and has increased the hype on the project too much. You have played two characters in Baahubali. Which one did you like the most? Playing Sivudu was quite easy as the role itself was quite carefree. But I had to work a lot for the king’s role. The character had certain parameters which I had to follow. We consciously decided that both the roles will look slightly different and I worked on my body for the last four years and attained the beefy look. He is an integral part of the film. One needs to have guts to do such a negative role in the film. The way he will be showcased in the second part will be even deadly and surprise everyone. Rana has done a superb job and I loved working with him on the film. How serious was the filming process? Every day was a learning experience. There was a lot of tension and as there was no room for error as thousands of technicians were working on it. I remember clearly that I used to cringe to ask for another take as so much was at stake. Even the slightest mistake could disarray the entire set up and it would take hours together for things to be set up again. When did you understand that you are a part of something huge with Baahubali? I remember the day when Rajamouli narrated me the waterfall scene and said that the water will come down from the clouds. That is the day I understood that Rajamouli’s vision and when I heard that scene, I understood that Baahubali is going to be huge. I personally feel that the waterfall scene is way better than any Hollywood film.